Last year Abu Dhabi became home to one of the world’s most impressive museums: the Louvre Abu Dhabi. But four months later, the museum found itself facing the cultural challenge of a United Arab Emirates population that generally isn’t interested in visiting museums. 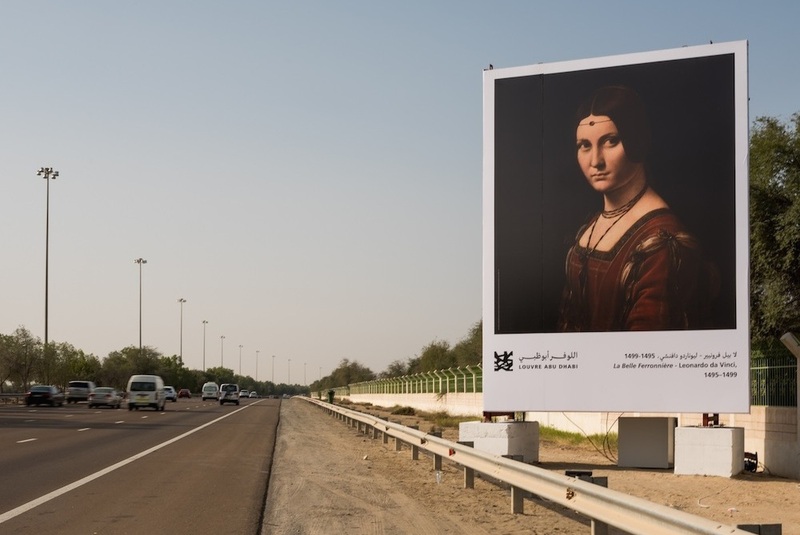 The Louvre responded by launching a “Highway Gallery” as a way to pique the interest of the over 12,000 commuters who travel along EE/11 Sheikh Zayed highway. Ad agency network TBWA\RAAD created the gallery in partnership with the Abu Dhabi Media Company, Radio 1 FM, Classic FM and Emarat FM. It features billboards of 10 masterpieces found in the museum as well as a radio guide. Drivers wishing to learn more about the works they drive by just have to tune in to 100.5 FM, 91.6 FM or 95.8 FM. Whatever program or music is on will automatically change to a 30-second story as the car approaches the billboard. The pieces date anywhere from prehistory to the present, and include Vincent Van Gogh’s 1887 Self Portrait, a 2,000-year-old coin from the United Arab Emirates, one of the first statues ever created by humans, and La Belle Ferronnière by Italian Renaissance icon Leonardo da Vinci. 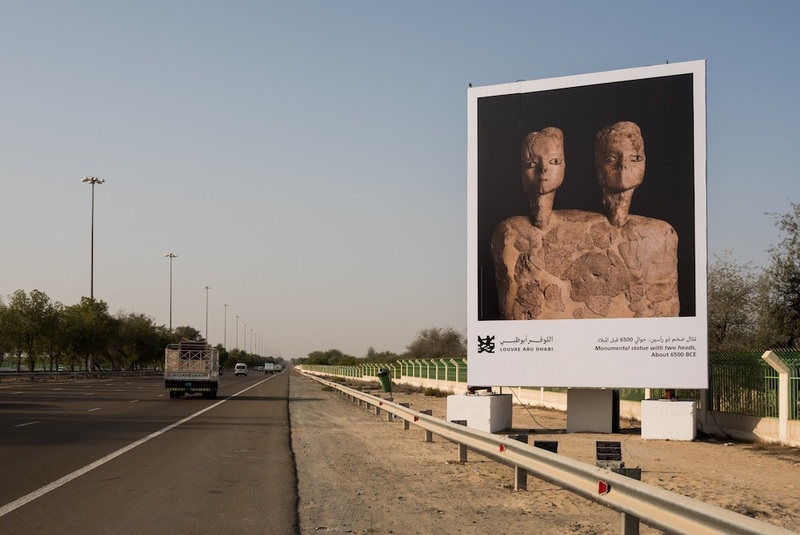 “Highlighting some of the museum’s iconic masterpieces through a unique, audio-visual experience, Louvre Abu Dhabi’s Highway Gallery makes art and culture accessible to people, beyond the museum’s walls,” said his Excellency Mohamed Khalifa Al Mubarak, Chairman of the Department of Culture and Tourism in the museum press release. The highway gallery will be on display for one month.